We have been given a wonderful opportunity for a truly behind-the-scenes look at the restoration shop at the Air Force Museum here in Dayton, Ohio. Special group tours are normally not allowed, nor have weekend tours ever been done. This is a once-in-a-lifetime opportunity to spend time in the restoration shop with the actual restorers on staff, and is a very special favor the wonderful folks at the Air Force Museum have done for us. 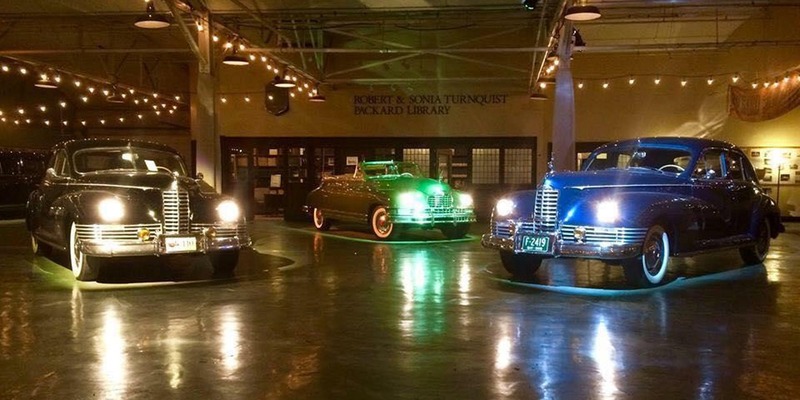 Due to the nature of this tour, please contact Dan at the Packard Museum via Email at [email protected] or (937)226-1710 x202 if you wish to attend, as background checks are required for all of those attending prior to our arrival. 7:30pm Dinner with Guest Speaker Leon Dixon. Leon is an automotive historian, author, speaker, and expert with an encyclopedic knowledge of all things postwar Packard. He will speak about Creative Industries, Mitchell Bentley, late Packard concepts cars and Carribbean development, and a host of other topics. Q&A will follow. This is not a talk to miss!